GeoGenesis® was designed under the direction of U.S. Government program sponsors and is based on fully defined user requirements. This includes both function and performance. Likewise, in addition to offering an improved user experience, the software has been purposefully offered in both government and commercial versions; and this is a key point in times of increasing budget constraints. Note: GeoGenesis was developed under an SBIR. The term "SBIR Data Rights" is defined at subparagraph (a)(18) of the clause at DFARS 252-227.7018, and all FARs are applicable in this regard. GeoGenesis® provides easy-to-use methods for the pre-processing of UAV, aerial, or satellite imagery, allowing you complete control over your data. GeoGenesis allows you to use ground control data to automatically rectify individual images, or perform bundle adjustment (aerotriangulation) on a large set of overlapping imagery, to generate tightly controlled image sets for further analysis and processing. With GeoGenesis, you can rapidly orthorectify aerial and satellite imagery, fuse high-resolution panchromatic and lower-resolution multispectral imagery using our pan-sharpening processes, and combine or split multi-band imagery. 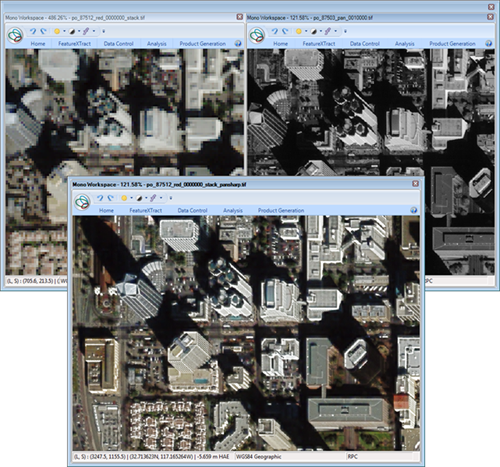 GeoGenesis also contains a set of mosaicking tools for combining multiple orthorectified images into a single, large-format image. The mosaicking capability includes radiometric balancing for panchromatic or color imagery. You can choose between a variety of cutline generation methods, including our fully-automatic process for generating cutlines with a minimum of scene disparity, making tedious manual cutline adjustment a thing of the past. Geared for production-level applications, GeoGenesis is the tool of choice for your image processing and photogrammetry pre-processing needs. Also, with GeoGenesis now integrated as part of IApioneer, the collective suite provides a full end-to-end collection of capabilities. The software will not operate fully without activation. Phone and email activation are both available. *GeoGenesis runs as a 32-bit application under 64-bit processor architectures to support legacy deliveries and 3rd party library integration. 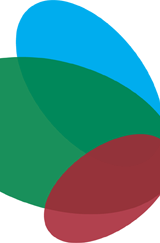 **GPU acceleration for some GeoGenesis processes not supported on all graphics architectures. available for purchase in the United States. For more information contact our sales desk: email or call (toll-free): 888-860-IAVO (4286). GeoGenesis was developed under contract with the U.S. Government. Accordingly, GOTS (Government-off-the-shelf) versions, offered as part of the IApioneer integrated system, are available for U.S. Government users. There is no cost for the GOTS software; but the GOTS version is restricted to U.S. Government users only. Note: all sections apply collectively and must be considered as per applicable laws. GeoGenesis was developed under an SBIR. The term "SBIR Data Rights" is defined at subparagraph (a)(18) of the clause at DFARS 252-227.7018, and all FARs applicable in this regard apply. "For a period of 5 years after delivery and acceptance of the last deliverable item under the subject contract, this technical data shall be subject to the restrictions contained in the definition of Limited Rights in DFARS clause at 252.227-7018. After the 5-year period, the data shall be subject to the restrictions contained in the definition of Government Purpose License Rights in DFARS clause at 252.227-7018. The government assumes no liability for unauthorized use or disclosure by others. The legend, together with the indications included on any reproduction hereof which contains any portions subject to such limitations shall be honored only as long as the data continues to meet the definition of Government Purpose License Rights." For more information regarding contract number(s) and other related provisions, please contact the company. GeoGenesis is available for purchase/use by US entities only. It is not currently available for sale to non-US citizens, foreign organizations, or similarly non-US user categories without the legal permission coordinated with and offered by the US Government. Non-US entities interested in buying OmniDEM are urged to contact the company, understanding that sale outside the US may be allowed under permission from the US Government under certain circumstances; and IAVO will examine the requirements in such case-by-case events to explore the legal requirements of any potential sale. The sale and distribution of GeoGenesis conforms fully and satisfy the requirements as stated in sections 120.10.a.5; 120.11, 121.1; 121.8.f; and 125 of SUBCHAPTER M – International Traffic in Arms Regulations, as per the Directorate Defense Trade Controls (DDTC), US Munitions List, Arms Export Control Act (AECA), and the International Traffic in Arms Regulations (ITARS – fully Parts 120-130). Thus, as per ITARS, these commercial software products as defined herein are eligible for international purchase as per DDTC, AECA, and ITARS. For more information, please write IAVO (415 East Chapel Hill St., Ste. A, Durham, NC 27701 USA). Disclaimers: GeoSPHERIC and the GeoSPHERIC family of products (of which GeoGenesis is part of; collectively named herein as "GeoSPHERIC et al.") are based fully on widely used open-source literature. There is nothing wholly unique or specialized in this software; and to the contrary, the tools herein are entirely based on subject matter routinely taught at universities in the United States (U.S.) and internationally. As such, other than the name of the software (e.g., GeoSPHERIC et al. ), there is no part that can legitimately be considered proprietary or patentable by IAVO or any other party within the US or internationally. Further, the user represents and warrants that he/she is not a Restricted Party, which means any person or entity that is (i) located or established in, organized under the laws of, or controlled by the government or by one or more nationals of Cuba, Iran, North Korea, Sudan, Syria, or any other country that may, from time to time, become subject to U.S. export controls for anti-terrorism reasons or designated as a country that is subject to a general prohibition on U.S. persons’ engaging in financial and/or export transactions; (ii) on the U.S. Department of Commerce Denied Persons List, Entity List, or Unverified List; U.S. Department of the Treasury list of Specially Designated Nationals and Blocked Persons; or U.S. Department of State List of Debarred Parties; or (iii) part of, affiliated with, or controlled by any non-U.S. military organization; or (iv) is otherwise designated by the U.S. government or any of its agencies as a party with which it is unlawful to do business. If user becomes a Restricted Party during, the user shall immediately notify IAVO, and IAVO may terminate the license upon written notice to user. GeoSPHERIC (i.e., "Software") may be subject to restrictions on (i) exports, re-exports and in-country transfers under the laws and regulations of the United States or other countries in which such items may be produced or located; (ii) releases of technical data to foreign persons; (iii) the provision of certain services that relate to or employ such items; and (iv) restrictions on the importation and/or use of such items (collectively, "Export Laws"), which may include, without limitation, the U.S. Department of Commerce Export Administration Regulations, the U.S. Department of the Treasury foreign assets control regulations, and the U.S. Department of State International Traffic in Arms Regulations. User shall not export, re-export, resell, transfer or otherwise dispose of any Software subject to this Agreement in any manner that user knows or has reason to know would violate any Export Laws, and user shall, at his/her sole expense, obtain any governmental authorizations, permits, or licenses that may be required under the Export Laws in connection with its handling of the Software, and shall pay any and all taxes and duties imposed on the delivery, import, sale or license of the Software in the Territory. Diversion of the Software contrary to U.S. law is expressly prohibited. Except as expressly authorized by IAVO and permitted under the Export Laws, user agrees not to transfer, resell, or divert any Software; release technical data; or to provide services relating to such items (i) to any Restricted Party (as defined in subsection (1) above), or (ii) to any party with respect to which user knows or has information from which it may be reasonably inferred that such items will be used directly or indirectly for any purpose that would be prohibited under the Export Laws. Further, the following statements are offered and agreed to by all users. Condition 1: If U.S. users who have lawfully purchased the software in the US choose to transport and/or use GeoSPHERIC et al. – under their own choice or through the collective choice of others – outside of the US, such user(s) understands that it becomes his/her/their responsibility to comply with any and all international trade and industry security issues as they may apply; and that IAVO is in no way responsible for any non-US use of the GeoSPHERIC et al. Condition 2: Similarly, if any user, through access to an application programming interface (i.e., API) adds any functionality to GeoSPHERIC et al., such added functionality becomes the full and absolute responsibility of such said user; and that IAVO is in no way responsible for any use, re-sale, support, or distribution of such additional GeoSPHERIC et al. functionality in this regard. Note: The CGS plug-in is not distributed with the base GeoGenesis system. It is a separate component, and as such its distribution is currently limited to the US Government - and provided by the US Government. Use of the GeoGenesis pan-sharpening algorithms to combine high resolution panchromatic imagery with the color information of lower-resolution multispectral imagery, yielding a high-resolution color image for exploitation and analysis. Use of the GeoGenesis automatic tie point (ATP) generation functions to automatically tie imagery together in preparation for bundle adjustment of large image sets. Block bundle adjustment (aerotriangulation) minimizes the overall registration and limits errors, tightly controlling sets of imagery to geospatial coordinates. This is the first step in the production workflow to ensure geospatially accurate output products. Batch processes such as orthorectification and color balancing make the generation of products such as these large-scale orthomosaics efficient and practical. GeoGenesis® is now fully integrated with IApioneer™. See more in What’s New.